1.↑ Jump up to:1.0 1.1 1.2 1.3 1.4 Malice(November 14, 2011 12:02 AM). "Mechanics thread". Path of Exile Forum. Retrieved February 15, 2013. 2.↑ Jump up to:2.0 2.1 2.2 2.3 Mark_GGG(August 2, 2013 4:05 AM). "Are Orbs Drops effected by ItemQuantity". Path of Exile Forum. Retrieved August 2, 2013. 3.Jump up↑ Chris (January 23, 2013 1:31 AM). "0.10.0 Patch Notes". Path of Exile Forum. Retrieved April 09, 2013. 4.Jump up↑ Qarl (July 29, 2015 2:25 AM). "Like to farm? Then dont level yourchar.". Path of Exile Forum. Retrieved September 14, 2015. 5.Jump up↑ Rhys (August 28, 2012 4:26 AM). 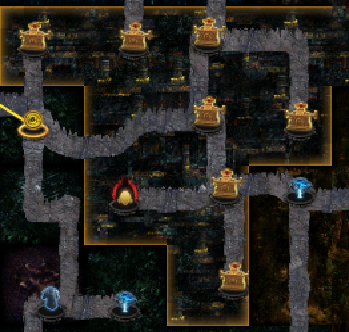 "Vaults of Atziri feedback". Path of Exile Forum. Retrieved April 29, 2013‎.